Man found lying in parking lot on Fifth Street was suffering from multiple stab wounds. A 21-year-old Madras man, who was spotted lying in a parking lot early Sunday morning, was suffering from stab wounds from an assault. The unidentified man was assisted by an officer from the Madras Police Department, who saw saw the man on the ground outside the Madras Pub and Deli on Southwest Fifth Street, around 1:30 a.m. on Dec. 16. "Upon contact with this person, and others that were attempting to assist, it was learned that the male, a 21-year-old Madras resident, had been assaulted and obtained several stab wounds," Sgt. Steve Webb noted in a press release. The victim was lifeflighted to St. Charles Bend for treatment of his injuries, but had been released by Tuesday, according to Webb. 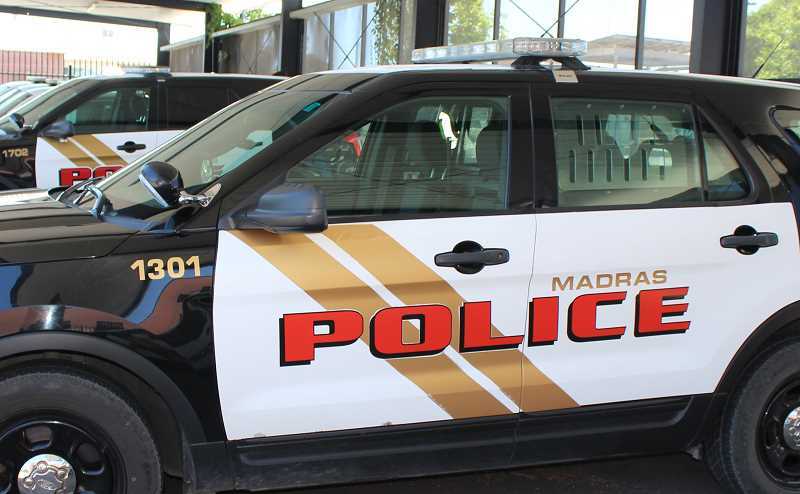 As the officers investigated, they learned that the assault did not occur on the property of the Madras Pub and Deli, but rather a short distance from there, he said. Webb said that the victim has cooperated with investigators and the investigation continues. No arrests had been made as of Tuesday morning. Although the Madras Police Department has determined there is not a current threat to public safety, anyone with information related to the incident is asked to contact Webb or officer John Slyter through Frontier Dispatch, 541-475-2201.